Edinburgh Capitals' player-coach Riley Emmerson says his team will remain professional despite seeing their play-off hopes quashed. Defeat to Manchester Storm on Sunday means it's the fifth year in six where the Caps have failed to secure a top eight berth. And there was no-one more disappointed than Emmerson that they'll be outsiders to the traditional end of season party. "We had high hopes earlier in the season," the Canadian said. "We were in fourth in November and it went downhill from there. "All we can do is upset things for others in the run-in and we've got four weeks of games where the guys are playing for contracts, whether that's here or elsewhere. "They have the chance to showcase themselves and we've still got a close knit group of guys, which showed in our game against Manchester. "We came up against a good goalie and that's just the way the luck goes. Ultimately, it's disappointing that we can't get to the play-offs." The fact they've lost their last 13 games and won once in 23 is the cold hard fact around the Caps descent from the top half of the table into Elite League oblivion. Emmerson's first season was also set back by sudden departures to key players and replacements not finding their feet well enough. But despite the score, they could be positive about Sunday's 4-1 loss to Manchester Storm at Murrayfield that consigned them to a bleak end to the season. Mathew Sisca scored in the opening minute to set the tone for Storm, but Kyle Bigos levelled later in the first period for Caps on the powerplay. Matt Paton restored the lead before Matt Davies added a third for Storm, followed by Omar Pacha making it 4-1 in the final period to kill off Edinburgh's play-off dreams. Storm had come to Scotland on the back of a 7-5 win over Dundee Stars on Saturday that elevated them into the top eight. Davies, Sisca and Luke Salazar had Storm three in front after only five minutes before Lou Dickenson struck back for the Stars. Grant Toulmin made it 4-1, but Jason Gray scored for Dundee to halve the deficit before Salazar nabbed his second followed by Doug Clarkson scoring for the Stars. Paul Swindlehurst and Justin Faryna as Manchester claimed the points. At the top end of the table, Braehead Clan look out of the title reckoning after suffering two defeats to Fife Flyers on Saturday then the Stars on Sunday. Ryan Finnerty's men are nine points away from top spot with eight games to go after the two losses, which began with a 5-1 humbling by rivals Fife. Michael Dorr, Ryan Dingle and Kyle Horne put Todd Dutiaume's men comfortably 3-0 ahead as Clan struggled in front of a bumper sell-out home crowd. Scott Aarssen fired Clan back into the game, but joy was short-lived as TJ Caig scored two to clinch a big 5-1 win in Glasgow. 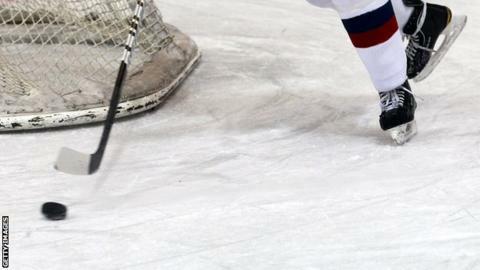 The slump continued as Braehead went to Dundee Stars, but left with a 2-1 defeat. Although Neil Trimm opened the scoring in the opening four minutes, Dundee hit back through Faryna to cancel it out. Mikael Lidhammar struck the game winner late in the second to secure the points and pile further misery on the struggling Clan. The recent slump prompted strong words from the club's Hockey & Operations Director, Gareth Chalmers, who has put pressure on the team to deliver. He told the club's website after the Fife game: "The performance was abysmal, when you consider it was in front of a capacity crowd. "As an organisation, we've worked hard to bring it into where it is now and after finishing second in the league last season, we can't accept that. "I don't blame fans for booing or leaving early and with only a few games left to go, it's imperative we win the Gardiner Conference. Anything less won't be accepted."